Justin Weinstein is a Brooklyn-based former scientist whose work includes documentary feature films and broadcast journalism. Most recently, he wrote and edited BEING ELMO: A Puppeteers Journey. Tyler Measom has written, produced and directed nearly one hundred commercials, short documentaries and industrials for a wide range of national and international clients. He is the co-director/producer of SONS OF PERDITION, which tells the story of teenagers exiled from their polygamist Mormon community. "The film feels like an enchanting magic act with its web of lies, cheats, and reveals. AN HONEST LIAR leaves one doubting the power of so-called-mystics, but it successfully conjures the magic of movies." 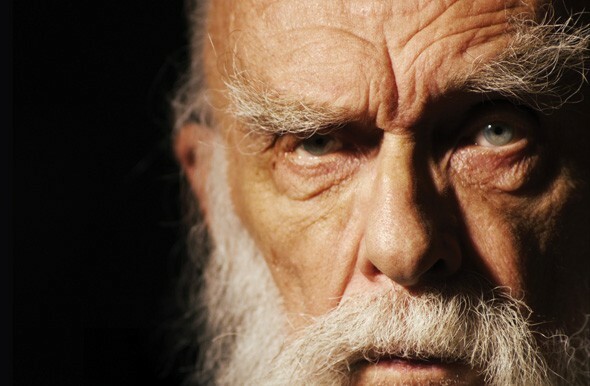 "In telling Randi’s strange, funny, and fascinating life story, [the filmmakers] ultimately show us how we are all vulnerable to deception—even, in a surprising twist, “The Amazing” Randi himself."